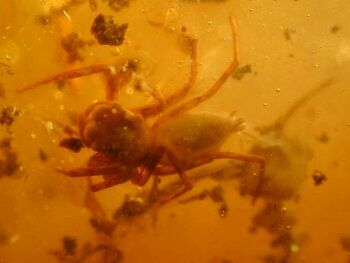 It was more than 30 millions years ago; ancient spiders were trapped in amber. Scientists at The University of Manchester and the Manchester Metropolitan University have carried out the first comparative scientific study on it. Fossilized spiders from the Baltic (Poland) and the Dominican (Caribbean) regions are studied. And that has revealed new insights into the ecologies of spiders dating back to the Cenozoic period. Ancient spiders from different parts of the world have been compared on such a large scale, for the first time. 671 species of spiders were compared in the study. And it is published in the March issue of the Royal Society’s Journal Biology Letters. Monster Tornado's to hit US cities?